Sportives are great fun and have never been so popular! They take you on challenging and spectacular courses and are perfect for any cyclist. They can range from a flat family friendly 30 miles to an extremely hilly 160 mile course. The average UK sportive is usually around 100miles (161km) and includes lots of challenging hills and climbs. 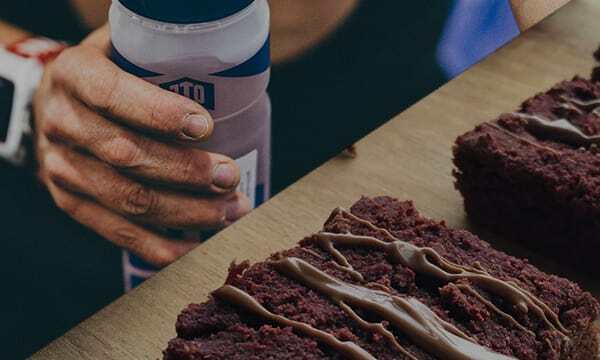 Depending on your fitness (and the weather on the day) you will be riding for around 6-7 hours, which is why you need to organise yourself with a nutritional strategy. Top Tip: Do your homework before the sportive, where are the feed stations on the course? What is available? Whatever isn’t provided you will need to carry with you. This is an important meal as you are effectively topping up your fuel tank for the next day. A familiar high carbohydrate meal that is low in fat is what you should aim for. Good examples are: pasta with grilled salmon/chicken or the traditional pre-ride favourite spaghetti bolognese. Ensure you have your pre event breakfast 2-3 hours before to allow it time to digest before you set off. Opt for something that’s light on the stomach and high in carbohydrate. Good examples are: Porridge, scrambled egg on toast or cereal with semi skimmed milk. If you’re short on time and (less than 90mins) you won’t have time for your body to fully digest your breakfast. Your best plan is to have a small snack like: Slice of toast and Jam, banana or a OTE Duo Bar. However if you do this, fuelling correctly during the event becomes even more important. Top Tip: Most hotels, B&B etc. don’t serve breakfast very early at the weekends and may not serve what you need, so consider taking your own breakfast porridge, muesli, cereal or energy bars with you. The following strategy is based on a 6-7 hour riding time, with energy drinks at the core of your fuelling strategy as they keep you hydrated and fuelled at the same time. 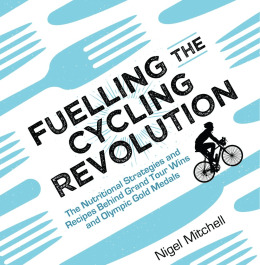 Adjust your strategy to consume between 60g-90g of carbohydrate and 500ml of water per hour of riding. 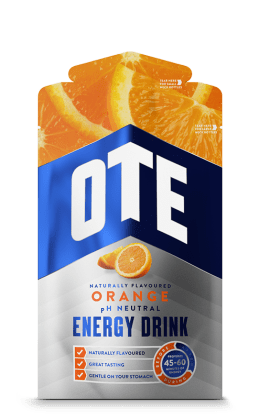 Top Tip: OTE Energy Drinks are pH neutral so they won’t cause gastric problems like many energy drinks. 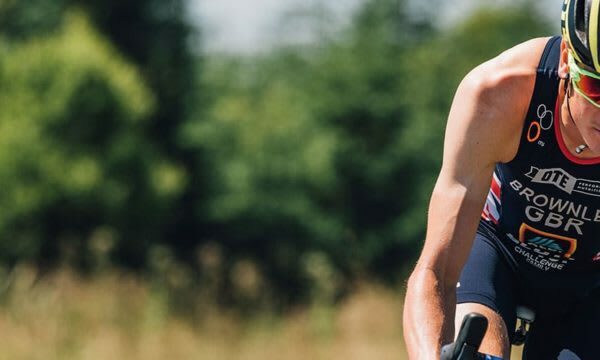 A useful strategy when dealing with a daunting Sportive course profile is to break down the Sportive into its different parts and build your pacing and fuelling strategy around the feeding stations and climbs on the course. I’ve broken our 100 mile Sportive down into three parts using the two Feeding Stations along the route as markers to aim for. 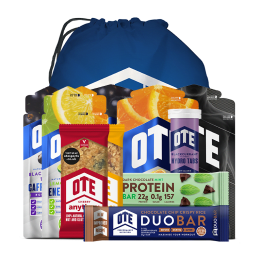 For the full course you will need: 4 x OTE Energy Sachets, 1x Duo Bar, 3 x OTE Energy Gels and 1 x OTE Caffeine Gel. Top Tip: If you have friends and family supporting you they can supply you with energy drinks, bars and Gels at pre-arranged points around the course this allows you to travel light and avoid the chaos at the feed-stations. 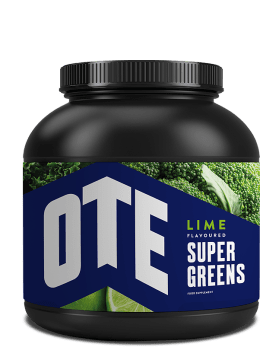 Start your ride with two bottles of OTE energy drink (you could add 20g of OTE Carbo Booster for additional carbs) in each bottle. Drink these little and often during the first stage. Also during the first 2.5 hours consume a OTE Duo bar. 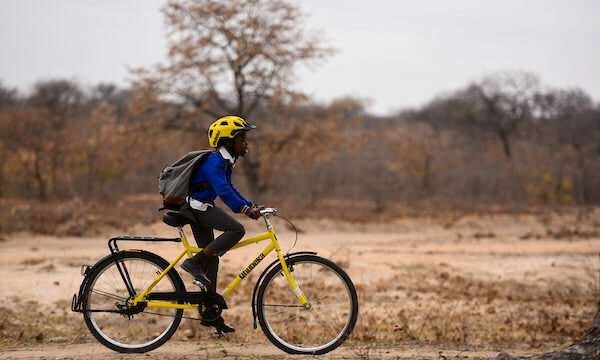 Think about having a bite when the road is flat or you are descending. When you arrive at the first feed station, refill your water bottles with 1 x OTE energy drink and 1 x bottle of water. If you’re fortunate to have your own roadside support, you could grab another OTE energy drinks. At this point take advantage of what is on offer after the feed station. If it’s a banana, OTE Anytime Bar or cake then take it. If you need a rest consume it there and then, if not then put it in your pocket for the next section of the Sportive. 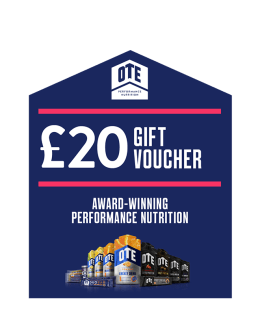 Ride the next 35 miles sipping your bottles of OTE energy drink; use your 2 OTE Energy Gels 10 minutes before each of the next two climbs. If you want to save your gels until the last hour then trade each gel for half a Duo Bar– they both have the same 20g Carbohydrate content. 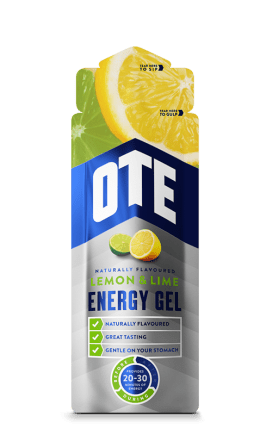 Top Tip: OTE Energy Gels are perfect to give you the extra carbohydrate when you need it, they are designed to be light on the stomach and don’t require any extra energy from your body digesting the food. These are ideal when the pressure is on and your body is working hard! When you arrive at your second feed station, use this time to refill water bottles again using your last OTE energy drink sachet. Again grab one piece of what ever is on offer at the feed station. By this point you may be in need of a rest. 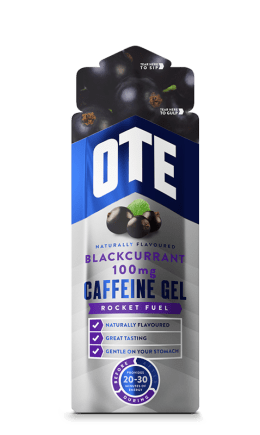 Ride the last 30 miles sipping on your OTE energy drink and use one OTE Energy Gel 10 minutes before the next climb and use your OTE Caffeine Gel 10 minutes before the last climb of the sportive. Finish Line: 100 miles complete! Within 20 minutes of finishing, it’s vital you refuel and support your body by giving it exactly what it needs. You need to replace your carbohydrate stores, rehydrate and ensure protein synthesis takes place. 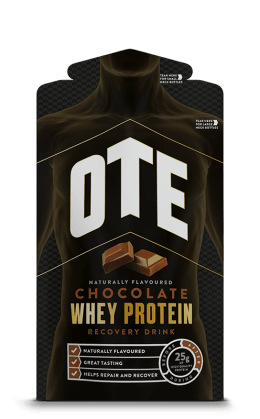 Use an OTE Recovery Drink to ensure you maximise your recovery. If you do nothing when you finish it could take you a full 48hours to recover. Top Tip: Be prepared. Know your own limitations. Always ride at your own pace. Your current fitness level will dictate your fuelling and hydration requirements for completing the course. Have a look at our OTE Energy System which will help you individualise your strategy. All that remains to be said is GOOD LUCK. Be sure to contact us and let us know how you get on.